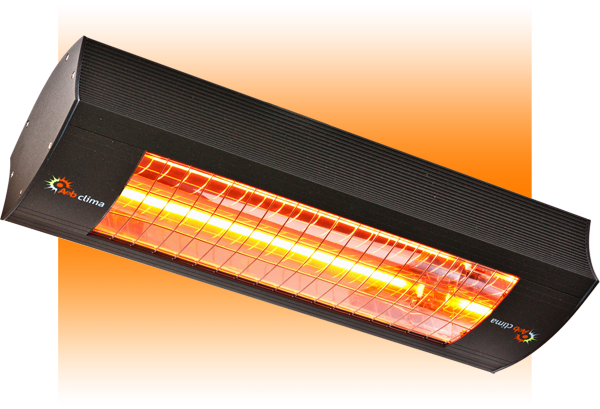 There are many advantages our halogen heaters have got over other heating systems. • Instantaneous heat, receiving more than 92% of heat emission in less than a second. • Reduced size and easy setting up. • Ergonomic design and total modular location. • Aluminium and AISI 316 steel frame and components, without any risk of corruption or oxidation. • Free of CO2 and N0x emissions. • You do not need to use dangerous consumables. • It does not generate dirt or noise. • Healthy and natural heat, without fumes or harmful substances. • It does not stir the air (ideal for people suffering from allergies). • Comfortable feeling of being under the Sun. • Efficient and economical heat. 92% of the energy is turned into heat. • Direct heat which does not warm the air, but the people and the objects it radiates to. • Steerable heat, acting like light, to take advantage of it wherever you need it. 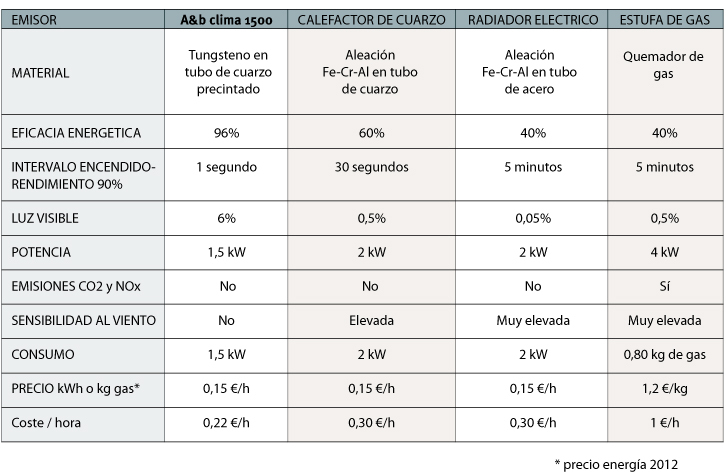 • There is no energy loss due to warm-up or air rise. • Maximum efficiency Toshiba lamps, with a duration of between 5000 and 7000 hours of use. • It does not require maintenance. • Energetically cheaper than any other technology.